Today's post is supposed to be what I got for Christmas this year but I didn't get anything really exciting, but if you want to see what my favourite presents were, click here for yesterdays post. This post is a day late as I forgot to post it yesterday! Today I will be sharing with you my latest MAC lipstick to my collection, Diva. Diva is a matte finish (my favourite) and it is a deep burgundy red, so it is perfect for winter. I love the colour and I think it complements my pale skin beautifully. I love the finish as matte finishes are my favourite, especially MAC. I find that the lipstick can look a little patchy but nothing that blotting an reapplying doesn't fix. It stays on for a good few hours and it isn't that drying for a matte lipstick. 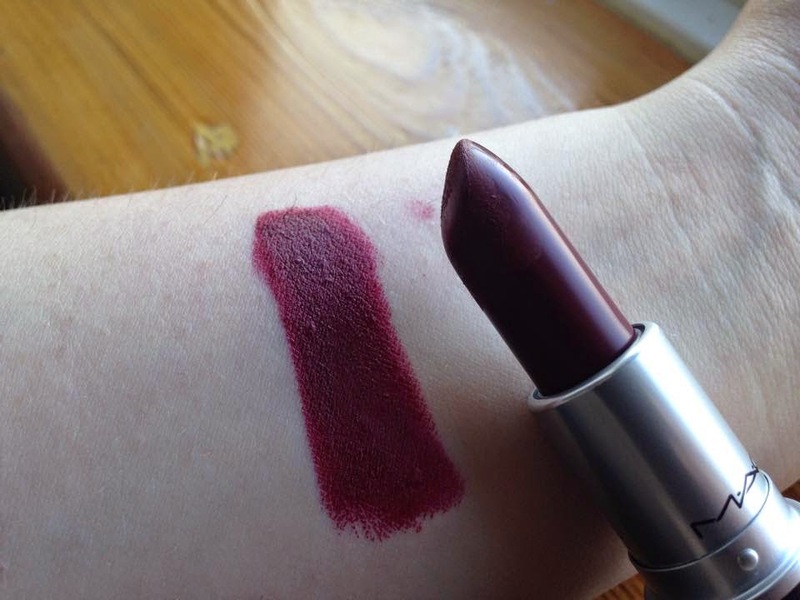 If you're on the hunt for a deep red lipstick then definiely check this one out from MAC. What MAC finish is your favourite? this is such a beautiful autumn/winter shade - nice post! Such a gorgeous shade, ive had this on my wishlist for soo long! Love love love this shade!! Definitely adding it to my makeup wishlist!